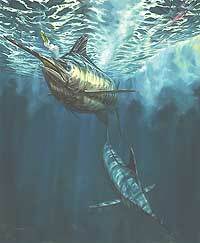 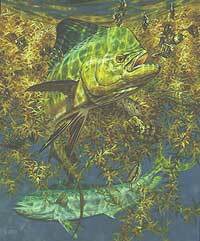 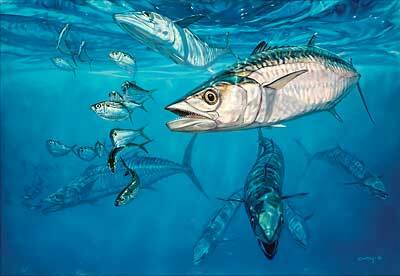 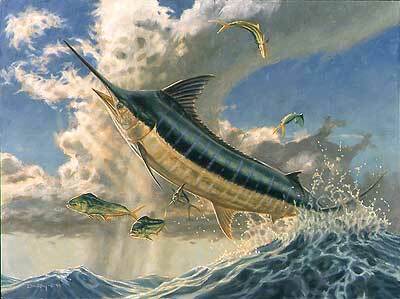 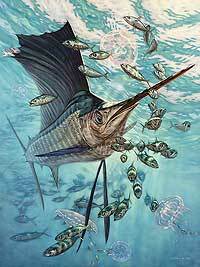 Specializing in saltwater fishing scenes, Don Ray's art is enjoyed and collected by fishermen around the world. 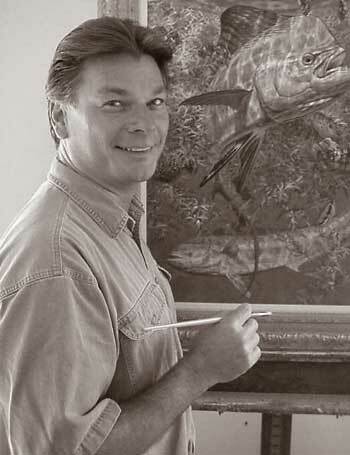 His oil paintings reflect his love for fine art and his diligence in studying marine environments. 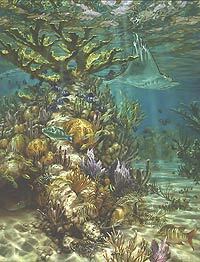 Research techniques include collecting wild specimens and diving with them in their native habitat. 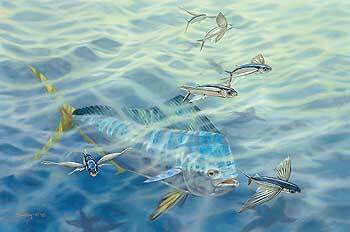 Ray's paintings acheive an impressive balance between artistic expression and realistic interpretations of life and light underwater. 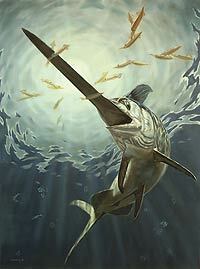 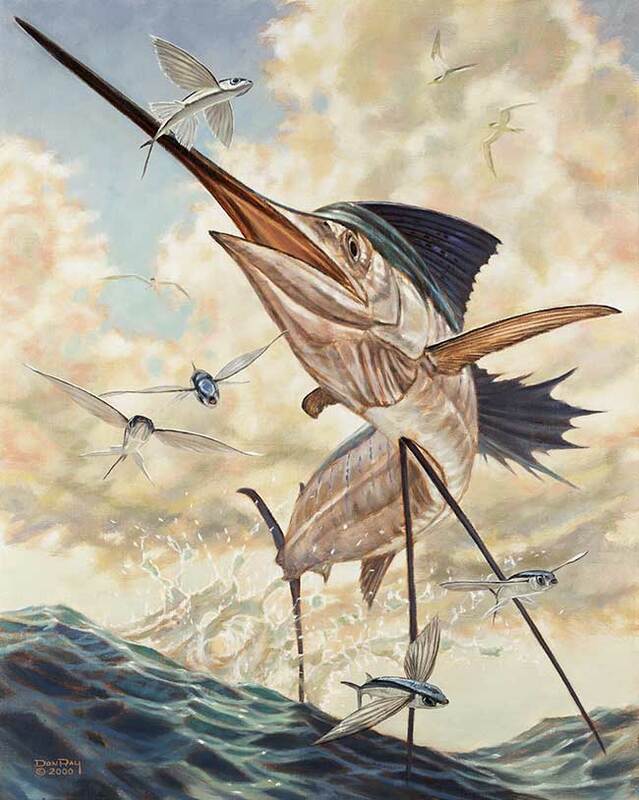 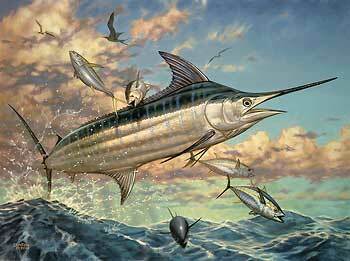 His art has graced the covers of many books, magazines and catalogs such as "Field & Stream," "Outdoor Life," "Marlin," "Game Fish" (France), "Cabela's," "Penn Reels," "Saltwater Sportsman Magazine Offshore" and "Inshore" saltwater fishing books, and "International Game Fish Association World Records Books." 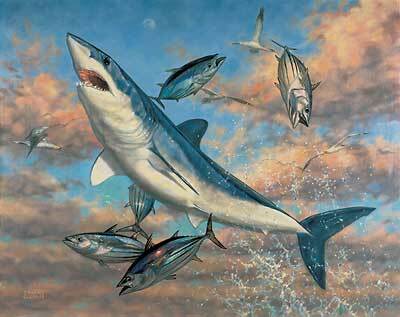 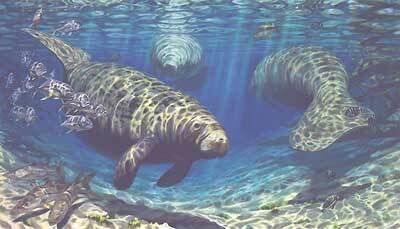 Ray is a member of Society of Animal Artists and has received the Society's "Award of Excellence."